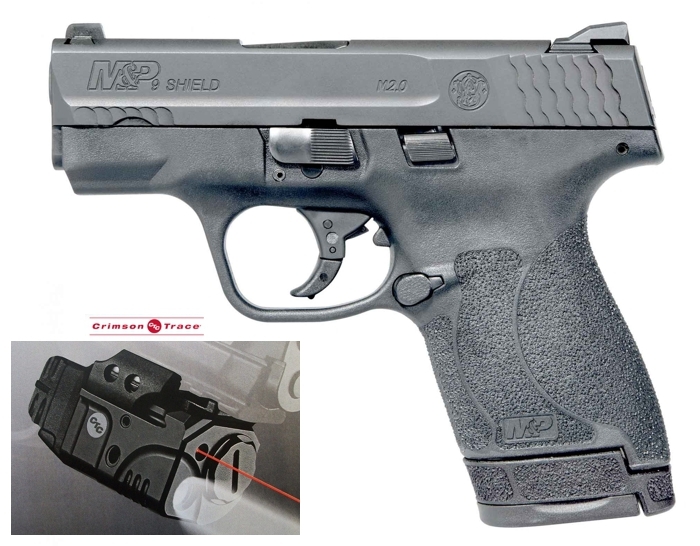 **** Chosen by Winner: John W.
The Crimson Trace CMR-204 Rail Master Pro Universal RedLaser Sight & Tactical Light ($289) combines two tactical tools in a single compact unit. The versatile unit is designed to fit most modern pistols, rifles and shotguns with an M1913 Picatinny or Weaver-style accessory rail. A powerful red laser anchors the unit and provides up to 2 hours of continuous use on a single CR2 Lithium battery. 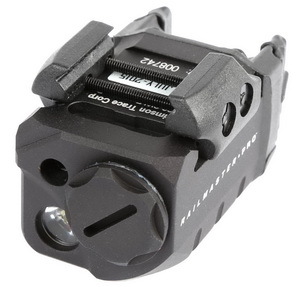 The Rail Master Pro also includes a powerful 100 Lumen white light for target identification. The unit features three operational modes including: Laser/Light Constant On, Laser Constant On, Light Constant On, and Laser w/Light Dazzler. Activation is instant, with Tap On, Tap Off controls and a programmed Auto Shut Off at five minutes to conserve battery life. Smith & Wesson Holding Corporation is a U.S.-based leader in firearm manufacturing and design, delivering a broad portfolio of quality firearms, related products, and training to the global military, law enforcement, and consumer markets. The company’s firearm division brands include Smith & Wesson®, M&P®, and Thompson/Center Arms™. As an industry leading provider of shooting, reloading, gunsmithing and gun cleaning supplies, the company’s accessories division produces innovative, top quality products under Battenfeld Technologies, Inc., including Caldwell® Shooting Supplies, Wheeler® Engineering, Tipton® Gun Cleaning Supplies, Frankford Arsenal® Reloading Tools, Lockdown® Vault Accessories, and Hooyman® Premium Tree Saws. Smith & Wesson facilities are located in Massachusetts, Maine, Connecticut, and Missouri. For more than 20 years, Crimson Trace Corporation has shipped over 2 million sets of Lasergrips® and Laserguard® units to responsible gun owners throughout the world. Our diverse and loyal customer base includes: the US Military, federal/state/local law enforcement agencies, private security officers, concealed carry aficionados, defense-minded citizens, target shooters and sportsmen. As the undisputed industry leader in laser sighting products for handguns and rail-equipped long guns, Crimson Trace places a passionate focus on our products – because the lives of our customers may depend on it. We engineer each and every Crimson Trace product to be the finest laser sight money can buy in terms of quality, durability and reliability. In addition, we pride ourselves on providing customer service and product support that shines as brightly as the lasers we package and sell.